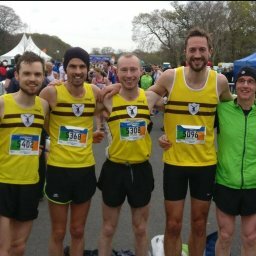 NBH runners raced among the roads and the mountains of County Down this past week, achieving some great results in the process. 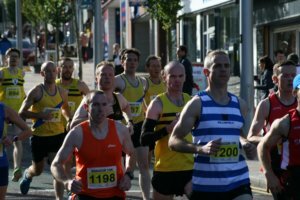 Bangor 10km, Bangor, Co. Down. 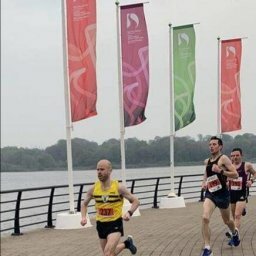 On Saturday morning NBH runners headed to the shores of north County Down, to race amongst one thousand other runners in the annual Bangor 10km organised by North Down AC. This well organised race attracted some of the top athletic talent in NI and offered a scenic route, with a tough hill to tackle at 9km. 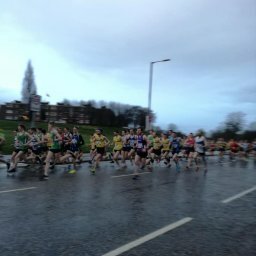 The race at the front was won convincingly by Gideon Kipsang from Derry Track Club (30:02), while Laura Graham from Mourne Runners continued her impressive run of performances to clinch the ladies’ race (34:35). Over thirty NBH runners headed to the seaside town and were well rewarded with great running conditions for the time of year, with pleasant temperatures and an odd lack of a coastal breeze. While the hill at 9km was still ever present, it made the performances all the more worthwhile as the runners crested the summit and headed left towards the finish line at Ward Park. Mark McKinstry just missed out on a podium place, and led the NBH home in 4th position, while David Clarke took another well-deserved age category win. See below for all the impressive performances in the Autumn sun. 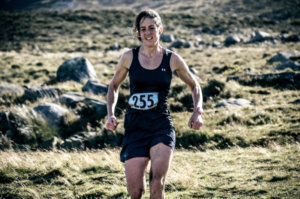 At the other end of County Down in the equally picturesque Mourne Mountains, the final race of the Northern Ireland Mountain Running Association Championships took place on Saturday. This course started on the Trassey Track and headed via the Hares Gap towards Commedagh, the Mournes’ second highest peak. The race was won with a short lead by Ian Bailey from Newcastle AC (57:46). The women’s race was secured by Shileen O’Kane from Lagan Valley AC (1:15:36). NBH had three runners in the field of sixty people, with Martsje Hell pressuring at the front of the women’s race; Martsje finished second across the line in a fantastic time of 1:20:03. Shane Donnelly took 5th position (1:06:24) and Simon Reeve finished in 14th position (01:14:36). A successful day out in the mountains for all. On Sunday three NBH runners took to the shores of Lough Neagh to race from Crumlin Glen along the shore line. John Patience took 5th place in a time of 40:50 and Eileen Keenan took 121st overall in a time of 1:05:29. Gemma Lowe also raced and finished in 122nd place (1:05:29). Two NBH runners made the trip over to Glasgow to participate in the Great Scottish Run, and to tackle the half marathon course. In what appeared to be very difficult conditions, the Donaldson family sailed through the puddles to secure brilliant times. Eadaoin finished in position 4004 in a time of 1:59:02 and Philomena improved by 3 minutes on her last half marathon, to take position 5340 in a time of 2:08:23. NBH runner Conal McCambridge is flexing both his brain power and hamstrings while on scholarship studying in NC, USA at the Queens University of Charlotte. Conal is a member of the Queens Cross Country team, the ‘Royals’. On Friday Conal helped his team clinch first place in the team competition with a time of 25:19 over the 5 mile / 8km course, finishing 6th on his team. As ever the NBH attended parkrun events in their droves. This Saturday saw 4 new PBs.